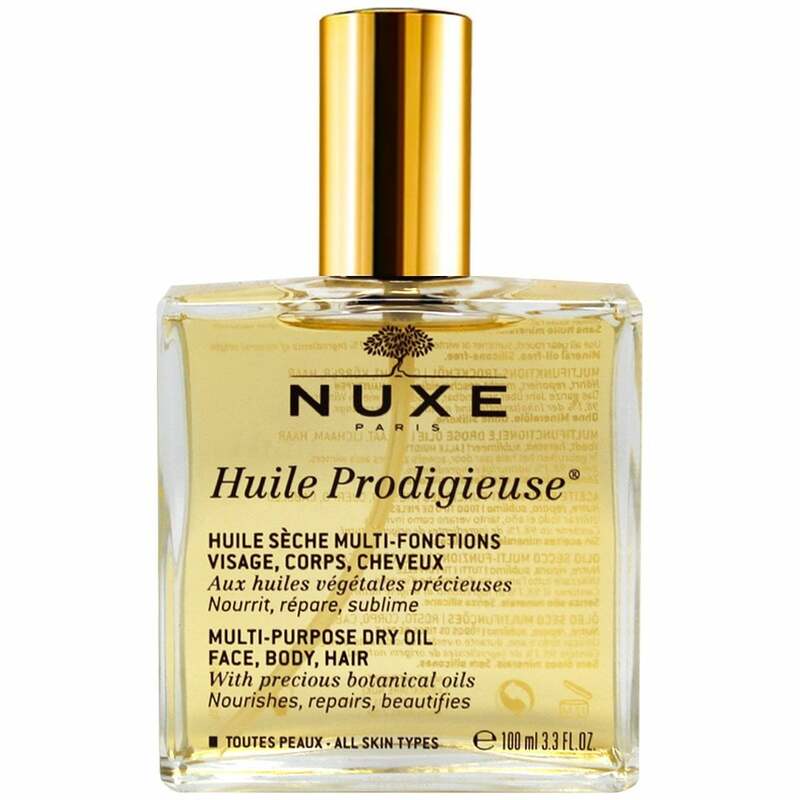 Nuxe Huile Prodigieuse Multi-Purpose Dry Oil Spray (100ml) is an iconic, multi-purpose dry oil with an addictive fragrance which repairs and nourishes the face, body and hair. Comprising of 98.1% ingredients of natural origin, it has been formulated with seven precious botanical oils including anti-ageing Tsubaki Oil. With a blend of repairing Argan Oil, anti-wrinkle Borage Oil, nourishing Macadamia and Hazelnut Oils plus moisturising Almond and Camellia Oils, this prodigious treatment minimises the appearance of stretch marks and protects the skin from environmental impurities. Paraben & cruelty-free. Vegan-friendly. On the face, smooth on a few drops once daily, ensuring even coverage. On the body, massage evenly over dry areas and stretch marks in circular motions. On the hair, smooth over lengths and ends as often as required. Been using this for ages. Wasn't sure about the smell at first but now i love it!. Not greasy, doesn't mark clothes. I do prefer the non spray bottle though. Less chance of it going everywhere. Ive used this product for years! Its fab! Lovely product, smells great and makes your skin feel wonderful. Great price too! Excellent luxuary product. Makes me feel great every time! Excellent oil, have used it for years. Really good price compared with companies. Will buy again. I put the oil on my face before going to bed and woke with a soft supple face. Hoping it will make my dry skin disappear. Lovely smell and light non-greasy consistency. Very versatile - I love it! Beautiful oil to use, the scent is wonderful! A lovely product, smells gorgeous.